Bringing communities together through our programs has always been a point of emphasis for RISE. 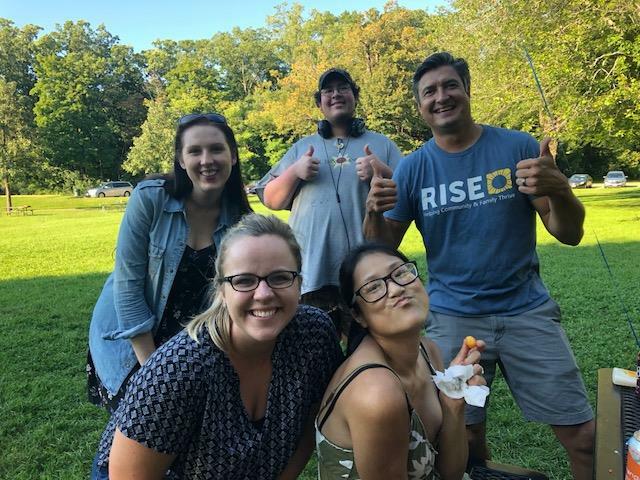 This was evident last Thursday when our Comprehensive Community Services team planned a picnic for the program participants. Providing the families with a fun, relaxing day was a great way to encourage community building within the program. This event was first conceptualized in March when the staff raised funds with a spaghetti lunch at RISE. Employees paid five dollars for the lunch, and the Comprehensive Community Services team was able to use the money for their wellness group. Some participants of the program even helped plan the event and cook the food with staff members. All of our program participants and their families were invited to the picnic, which took place at Vilas Park. Children were able to play together, and caregivers were able to socialize. The feedback from attendees has been overwhelmingly positive, and the team hopes to plan more gatherings in the future!